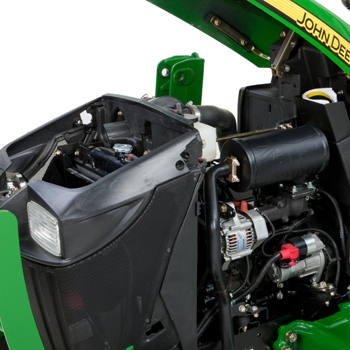 The 1023E is the introductory model of the John Deere 1-Family. 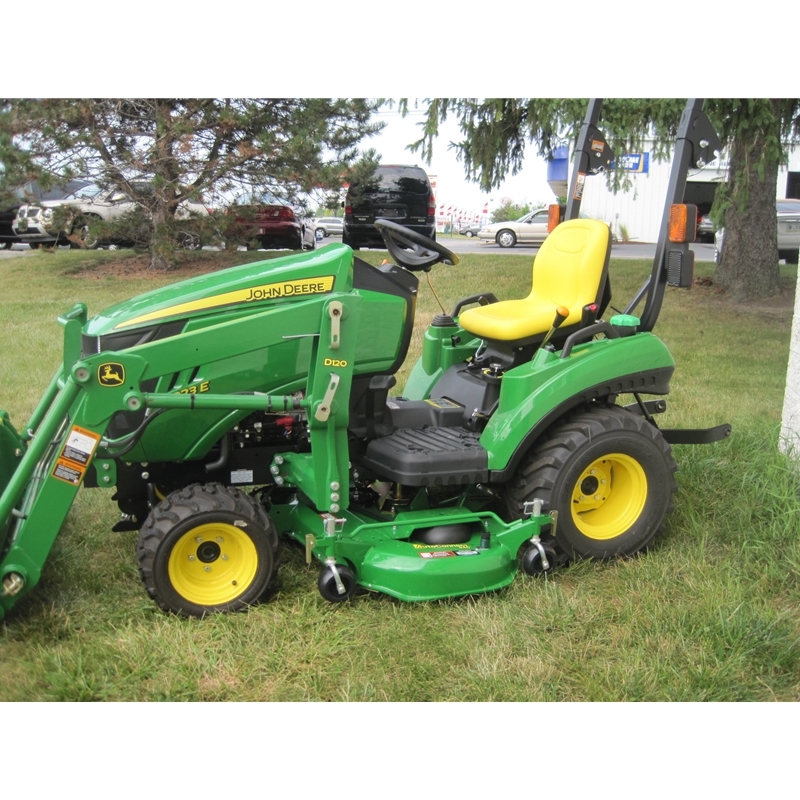 This tractor was designed with the estate owner in mind and prides itself on being easy to use and versatile, all at an affordable price. 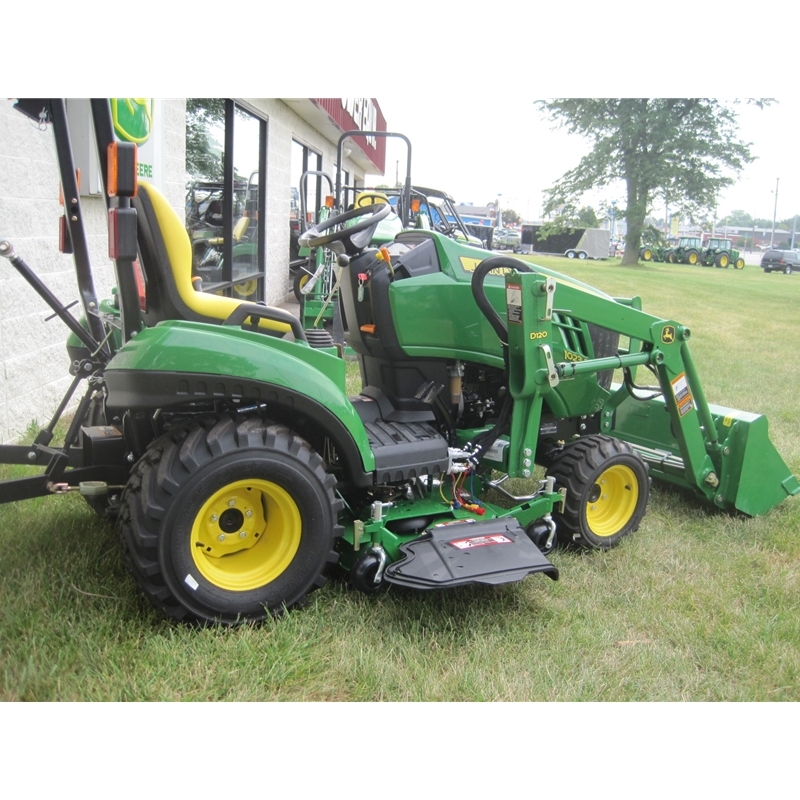 With standard features like foot pedal hydrostatic drive, power steering, and easy on and off attachments this small tractor is perfect for first time owners. 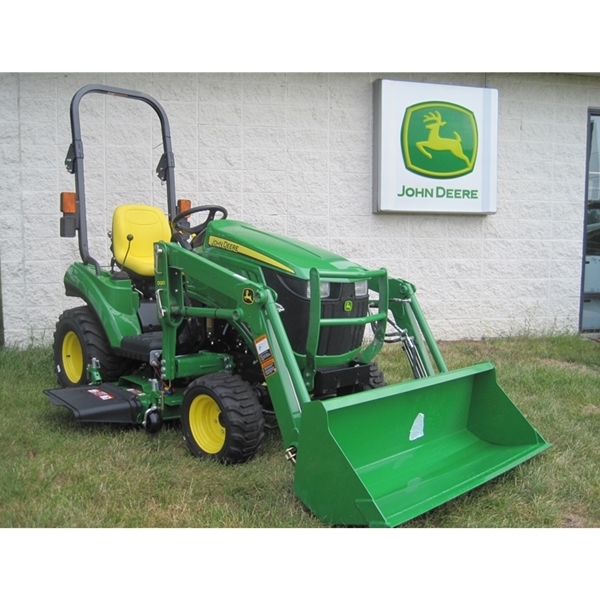 The 1 Series 1023E Tractor offers the value-minded customer a high-quality, versatile and cost-effective tractor from John Deere. 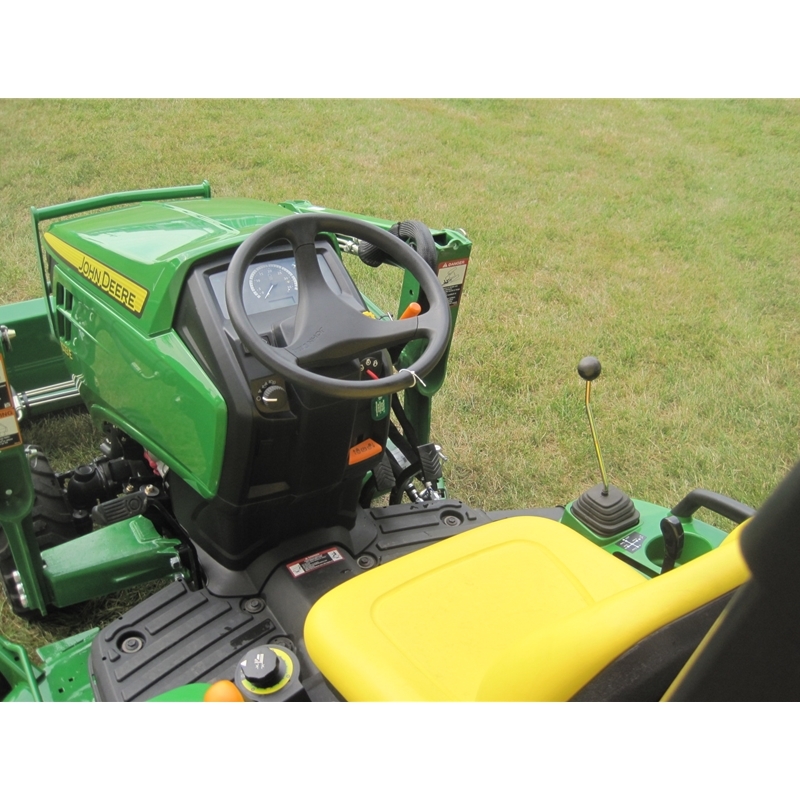 Assembled in the U.S.A. at John DeereÃ¢ÂÂs Augusta, Georgia factory,this tractor is designed for the customer who desires the power and productivity of a compact utility tractor, yet is value oriented and price conscious. 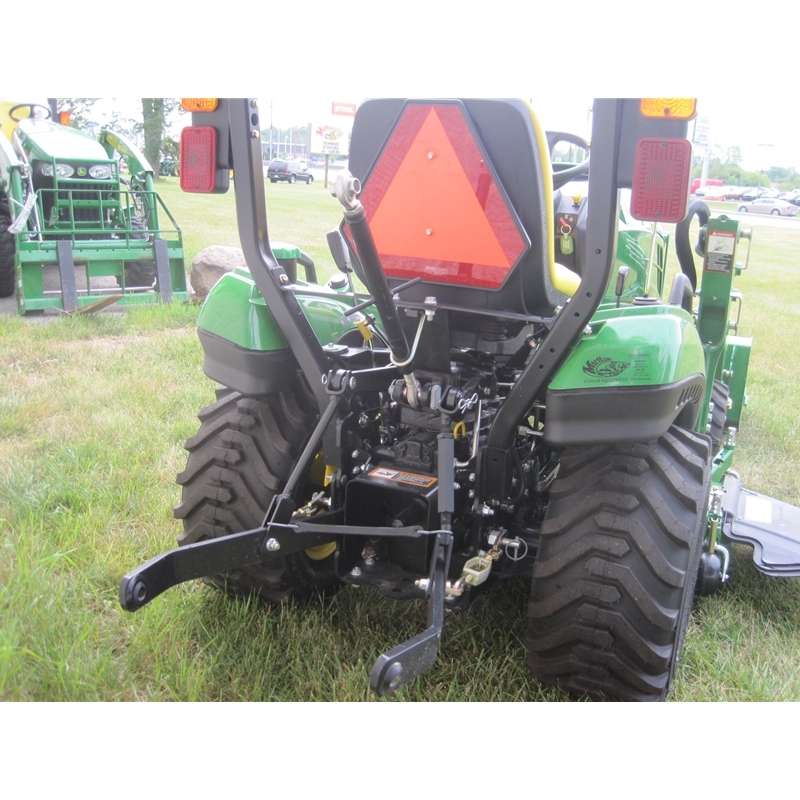 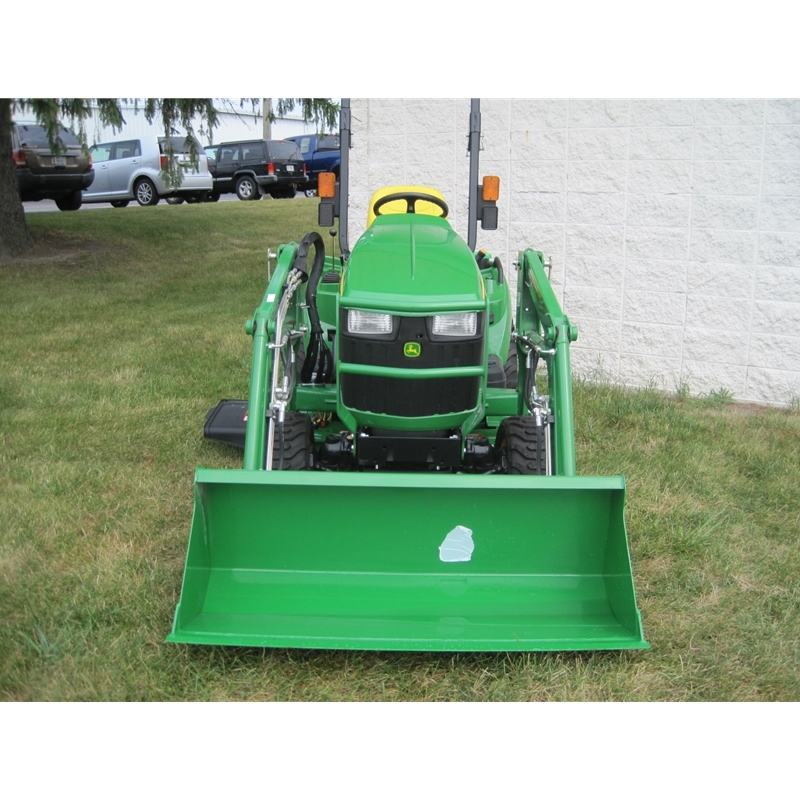 The 1023E Tractor has a 22.4 gross horsepower (PS) three-cylinder engine. 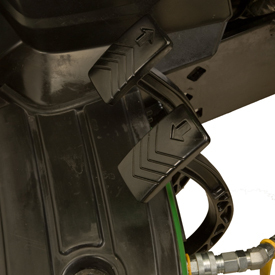 Hydrostatic transmission and 4-wheel drive (4WD) are in the base equipment. A wider wheel base and overall width gives the tractor great stability for those uneven terrains. 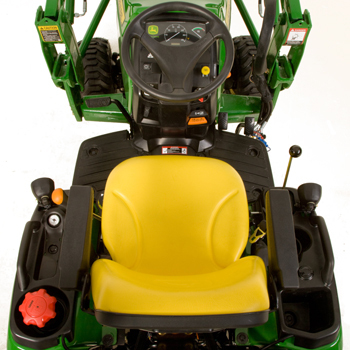 The 1023E Tractor meets the needs of customers who place a high priority on comfort, versatility, productivity, and reliability.